Previous post: 4th of July Happiness! Red, White & Happy! Oh my goodness! This week could be the week that Jalen arrives. I went to the doctor today & Dr. Espinoza said I am 2 CM dilates. He said the baby should come this week. But if it doesn’t come by Monday coming up, we would plan for the delivery that week! I’m excited yet scared @ the same time. I’m ready for him to be here, but I’m scared to find out what labor & delivery is like. I guess if other women can do it then I can tough it out too. I don’t think I’m as ready as I thought I would be. But then again, who is ready for this type of commitment? This is really life changing. But once I see Jalen, I’ll know it was all worth it in the end. It’s hard to believe that 9 months has flown by so fast. It was a bumpy, emotional ride, but I saw my way through it! And to think, here we are 8 years later! It definitely has been a journey. My baby is no longer inside of me. He is growing into a well-rounded young man. Life is so crazy to me! 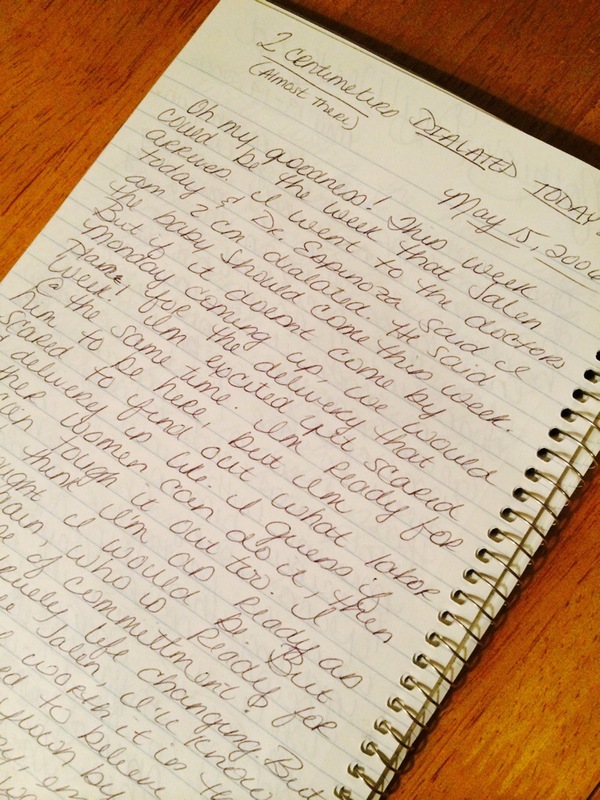 I chronicled EVERY DAY of my pregnancy in this journal. To go back and read some of my feelings during that time of my life is surreal! I can’t imagine my life being any different than it is today.